The total frame-off restoration on this custom one-ton panel truck was meticulously completed about 10 years ago by a NAPCO restorer. The original inline-6 engine was replaced with a Jobmaster 261ci that was used in the two-ton trucks. The engine was rebuilt and has been align bored, and the motor, flywheel and clutch were spun balanced as a unit. With the main goal of keeping this truck stock and original, the big 261ci 6-cylinder was installed rather than a V8. It does have the Clifford 6-8 split header with a Weber 390 cfm carburetor to give it a little more power and torque. 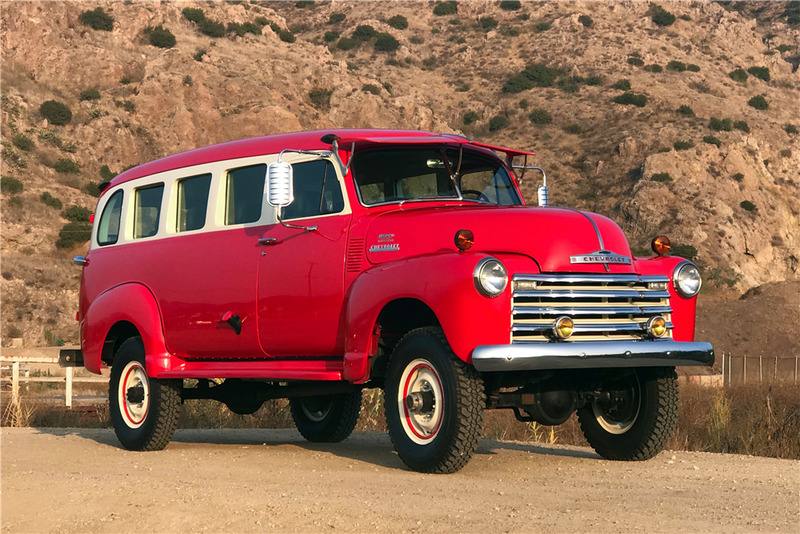 It has the original 4-speed manual transmission, the year-correct foot starter pedal, the two-lever transfer case and a driveshaft emergency brake. The master brake cylinder was upgraded to a power vacuum brake system for better stopping power. It has new brake cylinders and brake drums, the brake shoes and all brake drum hardware were replaced with new components, and the steel brake lines and rubber hoses were replaced with new. The inside of the gas tank was coated and the outside painted. The electrical system was upgraded to a 12-volt system and features its original distributor with a Pertronix ignition system, new alternator and a 12-volt starter with the foot pedal to kick the engine over. It has the big external oil filter with the large oil lines. The running gear was gone through and inspected; some bearings were replaced and all seals were replaced. The NAPCO front end and transfer case have the original brass tag to verify that it is a true NAPCO.